When GM Northeast Team handed me the keys to a 2014 Chevy Volt for a week, I knew I had to make good use of it. I decided to take a day trip to Philly. 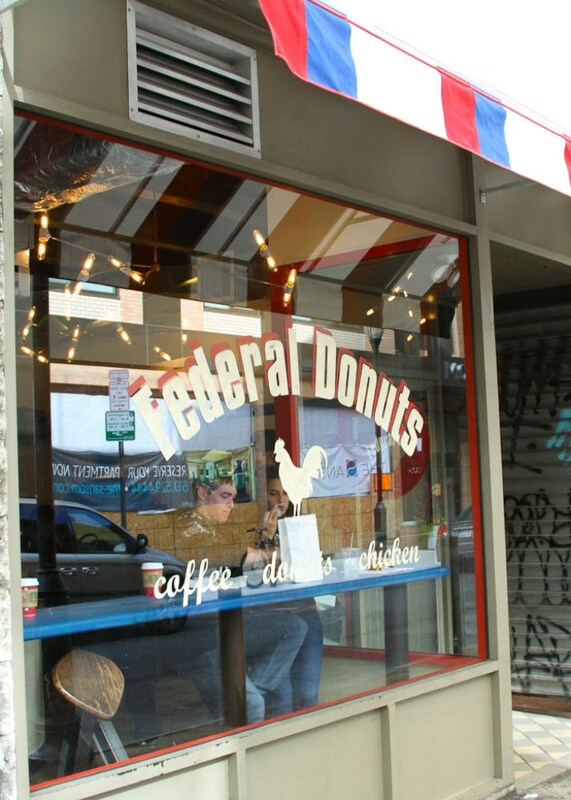 After much research, one of the places that caught my eye was Federal Donuts. I quickly put it on the “must” list. They have locations in South Philly and City Center, serving hot fresh donuts, fried to order, then rolled in vanilla spice, strawberry lavender, or cinnamon-brown sugar coatings. They also have more complex fancy donuts available. Their fried chicken is done to order, and you can choose to have it sprinkled with dry seasonings that include ballpark BBQ, Shabazzi (a savory blend of herbs), or buttermilk ranch. If you prefer them glazed, they offer chili-garlic and honey-ginger glazes. You can also get your chicken ‘naked.’ The Shabazzi was quite popular, but I went with chili-garlic, which had just the right amount of spice to it. To make things even better, every chicken order comes with a honey donut. I simply adored Federal Donuts. 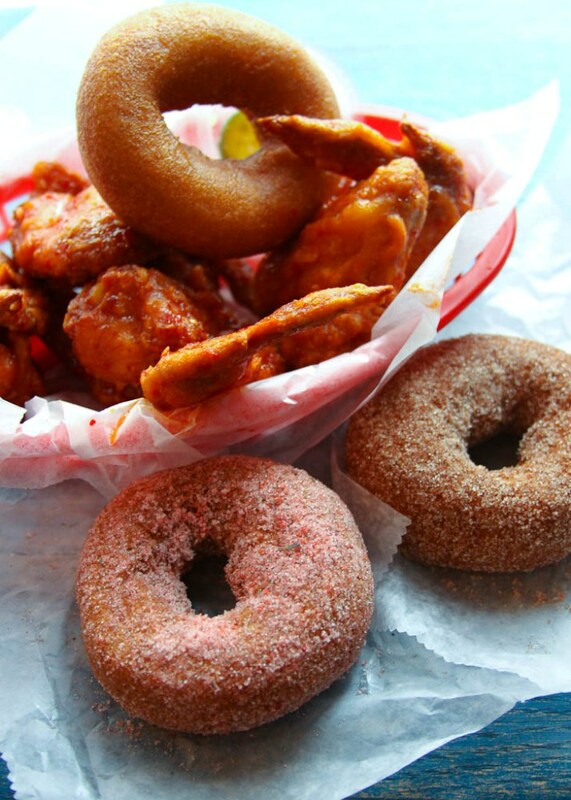 The key to donuts and chicken really is to fry to order. If you are in Philly, do not miss the spot. It is entirely worth the visit. Disclaimer: GM Northeast team provided me with a one week Chevy Volt car loan. I received no remuneration for this blog post. All opinions are my own.